From a logical perspective, the study area should extend at least to Kienlen Avenue rather than stopping at the City Limits. 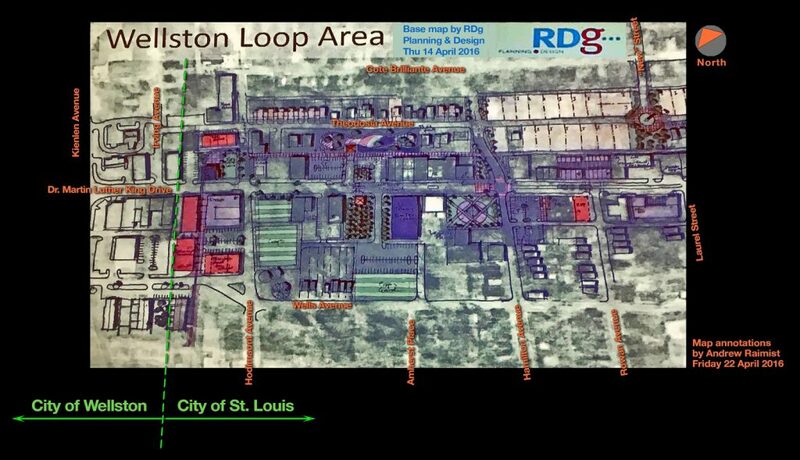 The bureaucratic reasons behind stopping the study at this essentially arbitrary dividing line reflects the kinds of disconnect and lack of coordination between the City of St. Louis, the City of Wellston, and St. Louis County. The East-West Gateway Council should help bridge these kinds of gaps in supporting the plan’s implementation. 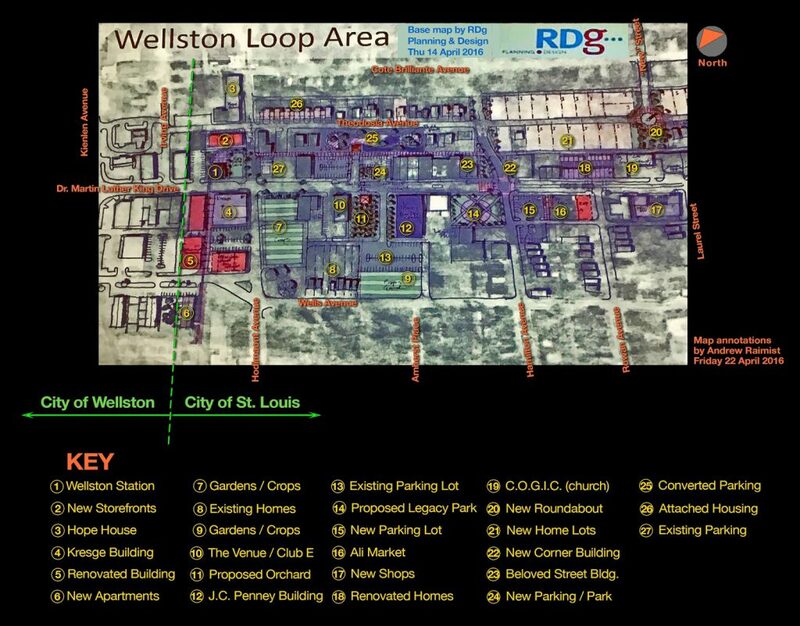 My remarks are largely based on the “Wellston Loop Area” slide in Figure 2. The two subsequent figures replicate this plan with the addition of street names and the city/county border in Figure 3 and a numbered key indicating specific locations in Figure 4. There was a good deal of discussion between the presenters (consultants) and the audience (stakeholders) about various aspects of the plan. Public comments ranged from complimentary to quite critical. My comments here are based on my experiences working in the community. I’ve had the opportunity to know the people and the place over the past five years while co-teaching the course “Community Building, Building Community” in the Sam Fox School of Design & Visual Arts at Washington University in St. Louis. My remarks begin with the community’s symbolic center––the historic 1909 Wellston Station (Figure 4, Key #1)––and proceed counterclockwise around the drawing. Securing and restoring Wellston Station is absolutely critical to the revitalization of this part of Dr. MLK. 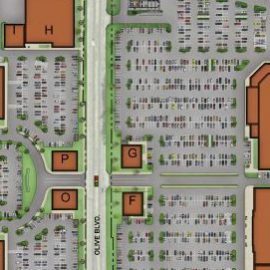 The plan reflects this necessity, making it the centerpiece of a “town square / marketplace” development featuring storefront businesses, open green space and limited parking. Reestablishing a takeaway type restaurant at Wellston Station is crucial to the viability of this concept. Until recently Bus Loop Burgers was located here (see Figure 5). Similar food service businesses, like The White Mill, operated there throughout the 20th Century. The tradition of such food service businesses in this location goes back decades and to critical to establishing even the potential for revitalization. 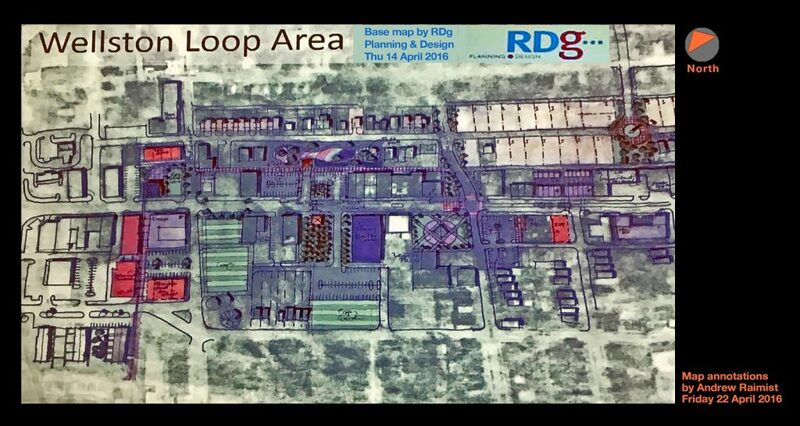 The plan suggests symbolically representing the position of the former Hodiamont rail lines through the use of pavers, a potentially fruitful idea. 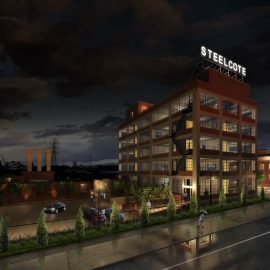 Locating a reconditioned PCC street car and positioning it under the building’s canopy could be a wonderful opportunity to visually reestablish a vibrant aspect of the neighborhood’s history as a transit hub. Currently, the Museum of Transportation in St. Louis County has an actual Hodiamont streetcar in its collection. Carrying out such a plan would require a significant investment. 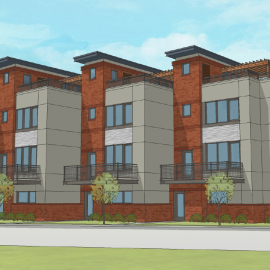 However, such a renovation would substantially improve the public’s perception of the immediate surroundings. It’s important that the building not become an empty monument to history. It needs to remain a center of daily activity. 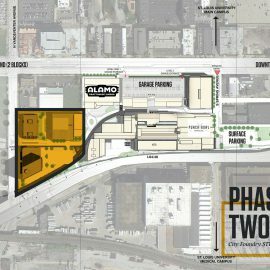 Plans for the surrounding area should encourage people to sit and gather, expanding on the building’s role as a transit hub. Improvements should not discriminate amongst people with regard to race, class, home or other factors. It should NOT be policed in such a way as to drive out the “undesirable homeless people” who presently use the shelter. It should be clean, well-lit and made safe and secure to the greatest extent possible. It needs to remain an authentic hang-out spot and not become a sanitized memorial. The building needs to continue operating as an authentic social collector. The proposed mechanism for Wellston Station’s revitalization relies on encouraging a wider community of interested people to invest in it based on positive collective memories of its significance. This notion is a creative approach to the difficulties relating to financing its restoration. It’s unlikely to be restored by private developers due to the high cost involved to preserve its craftsmanship and details. 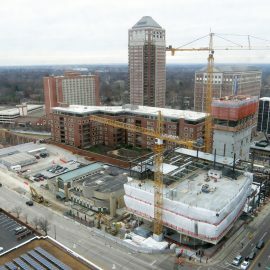 Its tiny footprint together with the area’s economic challenges makes it generally unattractive for commercial redevelopment. Relying solely on public funding seems similarly unrealistic. 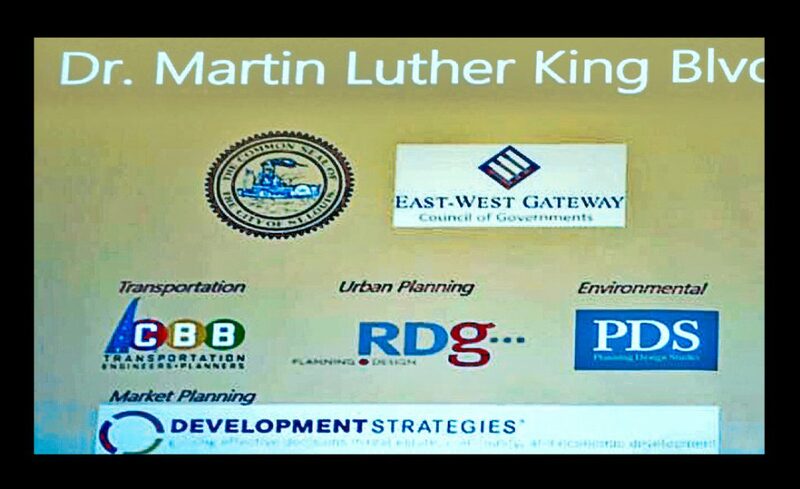 This effort will rely on people who once lived, worked or shopped here in years past and have fond recollections of the area’s position as the city’s “second downtown.” It will be no small undertaking but will nevertheless be essential to the revitalization of this part of Dr. MLK. Stabilizing the building needs to be commenced immediately, as portions of the building are presently in danger of collapse. Not only is it in a fragile state, it’s potentially dangerous to the public. Andrew teaches architecture at the Sam Fox School of Design and Visual Arts at Washington University in St. Louis. A writer and photographer as well, Raimist's architectural work is focused on Mid-Century Modern architecture and preservation.